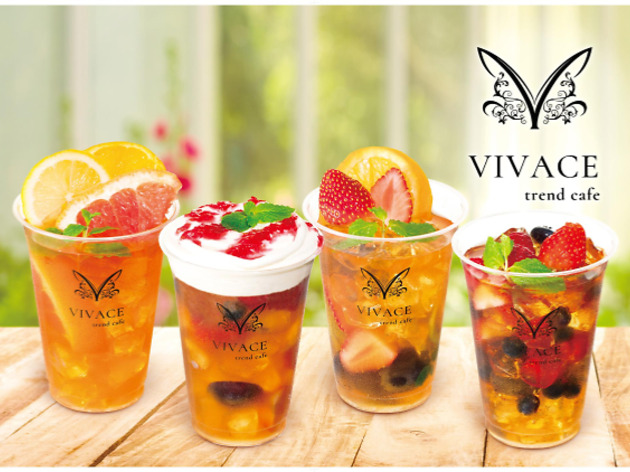 We don't really know anyone who has, but if you've always wanted to combine your tea drink and fruit parfait into one messy piece of dessert goodness, there's now a café that caters to your desires. 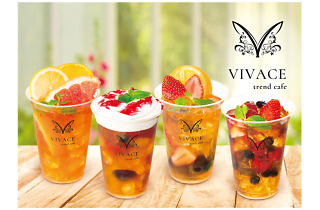 Sitting right by Jiyugaoka Station, Vivace – or to give its full name, Vivace Trend Cafe – serves up cups of iced or milk tea topped with ample amounts of fresh fruit, whipped cream and more. 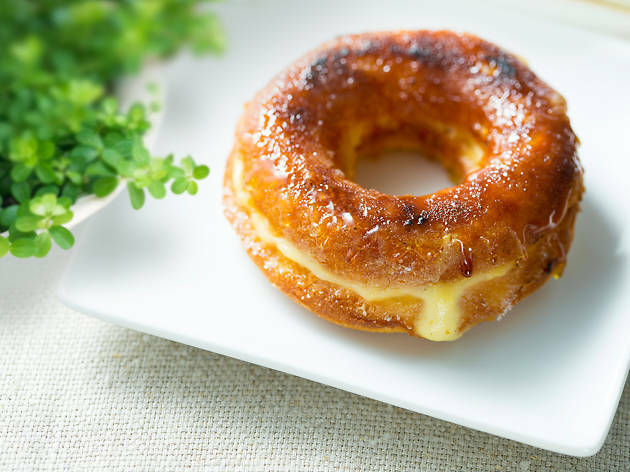 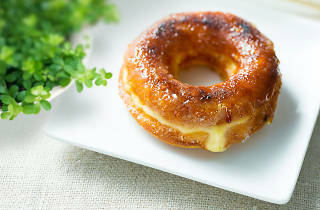 Choose from the seven regular varieties or make your very own concoction, and combine your pick with Vivace's signature crème brûlée donut for the ultimate Insta-licious dessert.